Christos Tsirogiannis is a forensic archaeologist researching antiquities smuggling networks and the market for looted cultural objects. He is an Associate Professor in the Antikmuseet, School of Culture and Society at Aarhus University. Dr. Tsirogiannis studied archaeology and history of art in the University of Athens. He worked for the Greek Ministries of Culture and Justice from 1994 to 2008, excavating throughout Greece and recording antiquities in private hands. He voluntarily cooperated with the Greek police Art Squad on a daily basis (August 2004 – December 2008). He was a member of the Greek Task Force Team that repatriated looted, smuggled and stolen antiquities from the Getty Museum, the Shelby White/Leon Levy collection, the Jean-David Cahn AG galleries, and others. 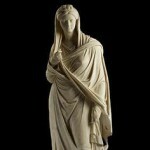 Since 2007, Christos has been identifying illicit antiquities, depicted in the confiscated Medici, Becchina and Symes-Michaelides archives, in museums, galleries, auction houses and private collections, notifying the relevant government authorities. In 2013 he won the annual Award for Art Protection and Security from the Association for Research into Crimes against Art. Christos also served as a Researcher at the Scottish Centre for Crime and Justice Research at the University of Glasgow. 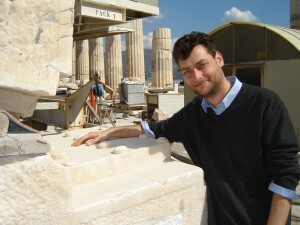 Christos received his Ph.D. in 2013 from the University of Cambridge, on the international illicit antiquities network viewed through the Robin Symes–Christos Michaelides archive. He has a regular column, “Nekyia”, in The Journal of Art Crime and has published various cases of previously undetected illicit antiquities. Tsirogiannis, C. (2016), “Mapping the Supply: Usual Suspects and Identified Antiquities in ‘Reputable’ Auction Houses in 2013”, Cuadernos de Prehistoria y Arqueología 25 (2015): 107–144.